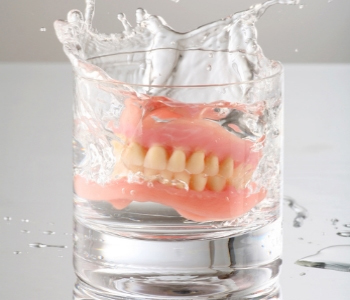 Dentures should fit comfortably and securely restore your ability to chew nutritious foods. Dentures should look natural and compliment your facial features and restore your confidence to speak, smile, and laugh. Good dentures do all these things! How do residents of Lakewood and surrounding areas find a dentist who can fit them with good dentures? Here are some suggestions. Using any popular search engine, look for dentists in the Lakewood area who offer denture services. Start with a list of ten or so that look interesting. Visit their websites to get a feel for the overall philosophy of the practice. Look for evidence of a clean, modern facility; current technologies and techniques; office hours that suit your schedule; and a convenient location. Shorten your list to no more than five. Today you have the unique ability to learn what real patients have to say about their dental experiences. Take advantage of it. Look for testimonials on the dentist’s own site as well as independent customer review sites like Angie’s List, Yelp, Citysearch, HealthGrades, and RateMDs. If you are comfortable confiding in others, ask family members, friends, and co-workers if they’ve had experience with any of the dentists on your short list. You may even want to post the question to social media friends. Were they treated with respect and compassion? Did they get all the information they wanted to make an informed decision, without feeling rushed? Was the cost estimated up front? Were they happy with the quality and fit of their dentures? By now you have probably shortened your list to just one or two dentists. The state dental board website will indicate if the dentist is licensed. Check the practice websites for information on the doctor’s other credentials, and to see if there is mention of specialized training in denture techniques. Technical proficiency is important in denture design, but a naturally artistic eye and appreciation for symmetry and coloring are critical. The “smile gallery” of denture patients should give you a good idea of the doctor’s creativity and talent. Contact the practice to ask what denture options are offered, based on price range, technology, and materials. Inquire about the dental laboratory that creates their dentures. Is it offshore or in the United States? Is there rapport with the technician to ensure quality and on-time delivery? Good dentures represent a financial outlay and an investment in your self-esteem. Dr. Scott Stewart and his team love helping denture patients rediscover the joys of smiling, speaking clearly, and eating heartily. Call South Lakewood Dental today at (855) 233-0023 to schedule your denture consultation.